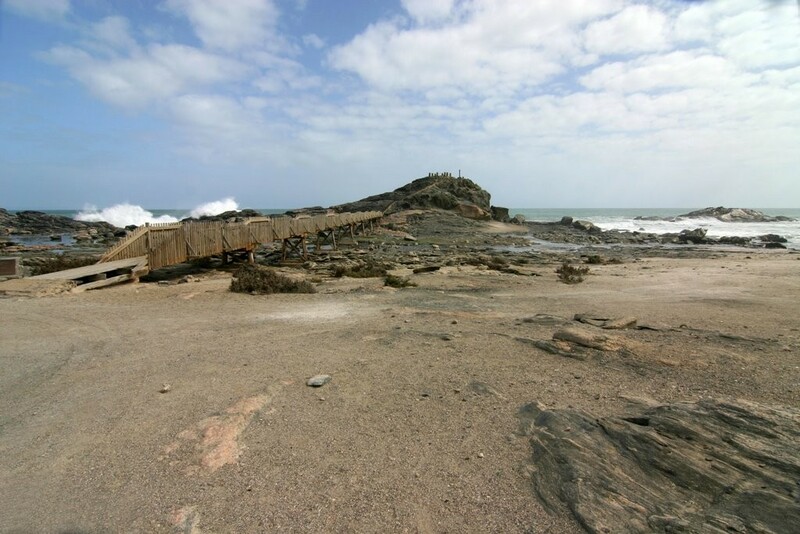 In 1488, while homeward bound from his pioneering voyage around the Cape of Good Hope into the Indian Ocean, Bartolomeu Dias sailed into the inlet presently known as Lüdertiz Bay. 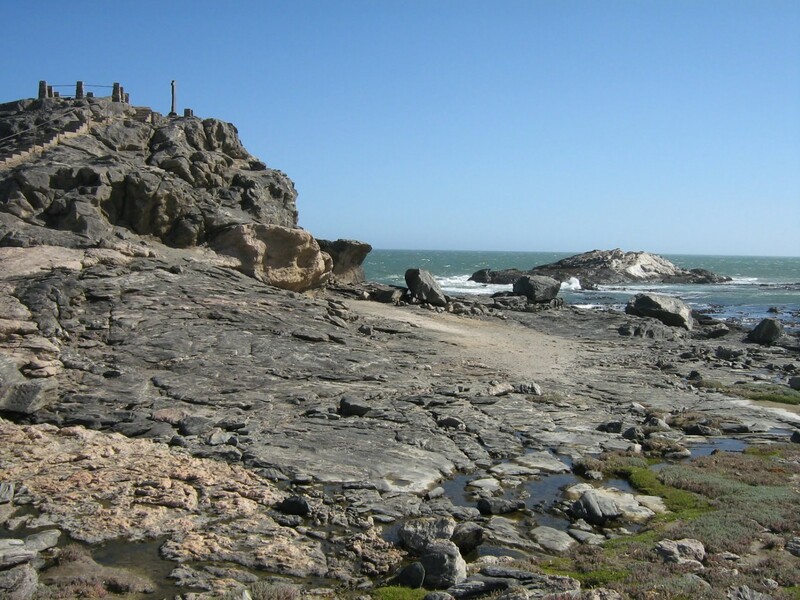 At the extreme western promontory of the bay he raised a padrao, dedicating it to Sao Tiago (St James). Since the padrao was erected on St James’s Day, being 25 July in the Christian calendar, the date of its erection can be fixed as 25 July 1488. The stone beacon remained undamaged except for the slow toll taken by the wind, sand surf of the Atlantic Ocean pounding against its limestone sides up to the early 19th century. The padrao was mentioned periodically in the records and diaries of visiting seafarers. Captain Thomas Bolden Thompson of HMS Nautilus and his officer, Lieutenant Popham, both described the padrao as a navigational aid in their diaries in April 1786. It was also indicated on a map drawn up by Captain T Alexander of HMS Star in 1795. In 1821, Captain JW Roberts, while conducting a trigonometrical survey of Angra Pequena (as Lüderitz Bay was formerly called), also referred to the location of the padrao on his detailed maps. During a survey carried out several years later by the crew of the HMS Espiégle between 13 and 15 March 1824, the padrao received no mention. In 1925, officers of the HMW Barracouta found the padrao uprooted and broken. Later seafarers pillaged fragments from the broken monument until 1855, when Captain Carew (a guano merchant) took the fragments hecould find to the South African Museum in Cape Town. The larger fragments remained on site, undiscovered for almost 100 years. In June 1953, archaeologist Dr Axel Erikson found several large fragments and numerous small chips from the original padrao at Dias Point. For the occasion of the Dias quincentenary in 1988, the National Monuments Council’s Regional Committee for SWA instructed Mr Paul Petzold, a stonemason at Karibib, to draw up the necessary plans for a replica. Mr Petzold relied for his design upon the only existing detailed sketch of the crosswhen it was still standing: a sketch drawn by Captain Thomas Bolden Thompson, of HMS Nautilus, in 1786. Paul Petzold was then commissioned to carve the replica of the padrao from Namib dolerite. It was erected on the original site in 1988 and unveiled as part of the celebrations of the Dias quincentenary on 25 July 1988. The replicaof the padrao replaced a marble cross that had stood there on a cement pedestal before. 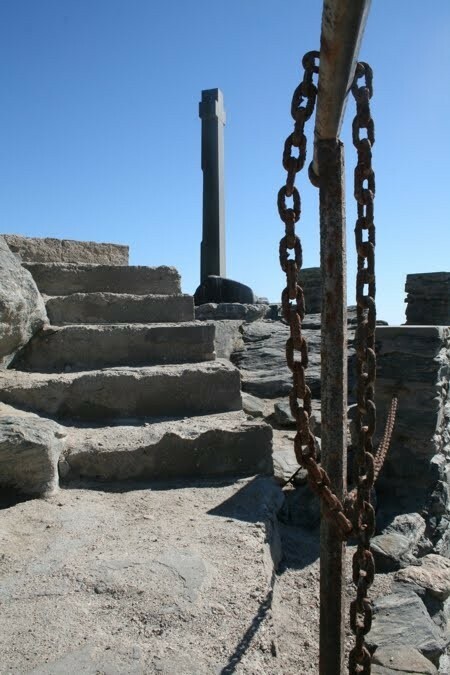 The Site of the Original Dias Cross, situated at Dias Point, Lüderitz, was declared a national monument of 12 January 1973.